Hasegawa: No one messes with the Ministry of Public Welfare! 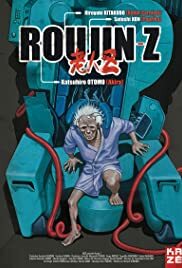 Roujin Z is a film that is entertaining, but if you have the English dubbed version of the film, there will be some inconsistencies in the dialogue. Example: The movie takes place in Japan, with obvious visual references and talk about the beach at Kamakura, but the English dialogue also talks about various American things. The film is basically a hilarious take on the robot gone insane story, where an experimental bed for elderly patients become simply a mental bed. The characters are especially enjoyable, including the old guys at the nursing home who often have a "Grumpy Old Men" style of insulting.